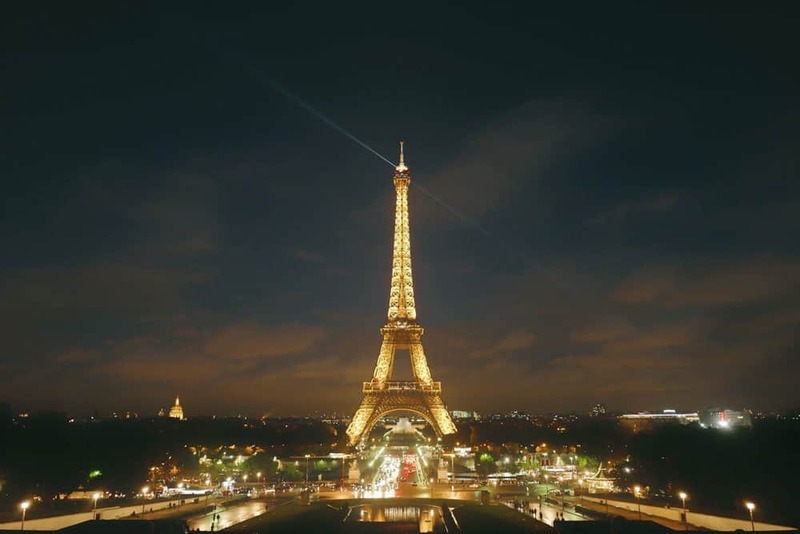 Although Paris is not the first destination that comes to mind when you’re traveling on a budget, it sure has many free options for the frugal traveler. You don’t need to spend a lot of money to enjoy the City of Lights. And you know what they say: the best things in life are free! So here’s a list of free things to do in Paris. Buy a local wine, some cheese and go to any park in Paris to enjoy the city vibe. One of the best activities to enjoy with children too. For the perfect location for a picnic, you can visit the gardens of Paris. The city has many beautiful and FREE gardens to go to. Our favorite parks: Luxembourg Gardens, Parc du Champ-de-Mars, Jardin des Tuileries, Coulée verte René-Dumont, Park Monceau and Parc des Buttes-Chaumont. If you’re looking for a more young vibe go to the Canal Saint-Martin. You probably remember it because this is the place where Amélie used to do ricochet. As soon as the weather starts getting warmer locals buy food and beer in the supermarkets close to the Canal and go on the sides to enjoy the sun. The best part is that you can start enjoying your evening here and then head on to the bars that surround the area. Go there any Sunday, since the canal is car-free those days. Another free spot you can have a picnic in is Sacré-Coeur. Go to the highest point in the city, enjoy a good wine and try to identify the places you’ve already gone to. And if you’re looking for entertainment, here you’ll always find musicians and jugglers. Going into the church is also free (unless you want to ascend into the dome, then you have to pay €8). The Louvre is free during specific days of the year. If you like modern art, you’ll like this museum. This museum is close to the Eiffel Tower and houses more than 8,000 works of art. Here you’ll find works by Picasso, Matisse, and Klein. The entry is free only for the permanent collection, for special exhibitions you can buy your tickets here. More than 1,300 works of art are housed here. You can find pieces from ancient times to the early 20th century. The permanent collection of this museum is a must see with names like Cézanne, Monet, Gaugin, and Rembrandt among the artists featured there. Note that the entry is free only for the permanent collection. If you want to access the temporary exhibitions you can check the prices here. 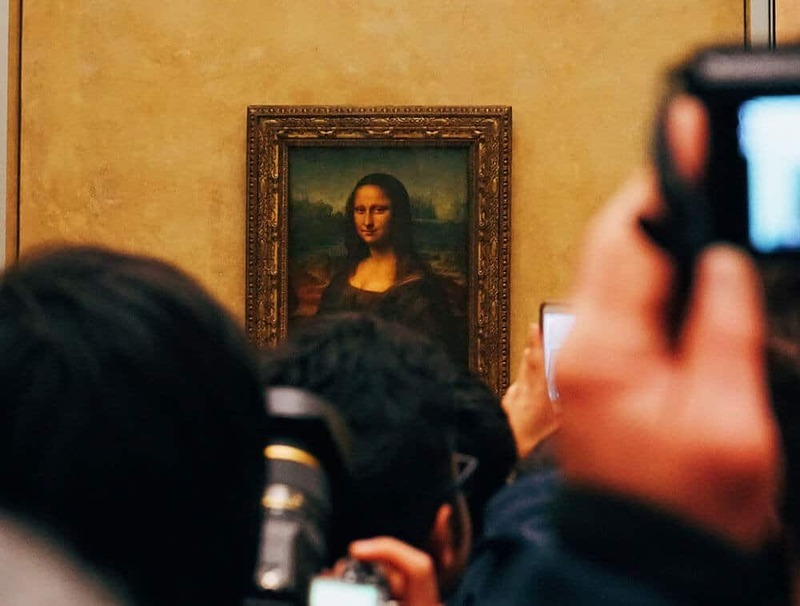 The first Sunday of the month between October and March, the Louvre is free. Because it’s free, crowds get there but if you don’t mind the long wait you can take advantage of this. This museum has a great collection of Impressionist art and it’s free the first Sunday of the month all year-round. Be sure to enjoy the building too, since in itself is also a great work of art. Honoré de Balzac wrote his masterpiece La Comédie Humane here. This author, considered as one of the founders of realism in European literature, lived in this house which holds personal memories of the writer and his family, manuscripts and illustration. You can also see paintings and documents about his loved ones. The entry to the permanent collection is free. Dedicated to Marie Curie, this museum holds scientific equipment that was used by the scientist through her discoveries. The entry to the museum is completely free but you can make donations to keep it that way. Plan your visit this way. Definitely, a must see if you’re into fragrances and just around the corner of the Opéra Garnier. Not only the entry is free but you can also get a free guided tour. In this museum you’ll learn all about the making of perfumes: materials, formulation, bottling and how does the work of the master “noses” work. There’s also a section in the museum about the history of perfume. Not a museum per se but art related. This is a former squat located on Rue de Rivoli. It is home of 30 artists’ studios that you can visit for free six days a week. You’ll get to see artists working in a wide range of art like sculpture, collage, photography or traditional painting. Important: if you’re gonna take pictures of the art, ask the artist first. There are also free concerts on the weekends, you can check the agenda here. Get amazed at the famous Notre-Dame in Paris, you can do that for free! One of the most recognized Gothic masterpieces, the Notre-Dame de Paris Cathedral is one of the most visited monuments in France. Enjoy the stained glass and rose windows, the steeple… and the gargoyles! If you go up, you can have a panoramic view of Paris. Edith Piaf, Honoré de Balzac, Frédéric Chopin, Molière, Jim Morrison and Oscar Wilde’s last remains are here. This is one of Paris’ most visited cemeteries. 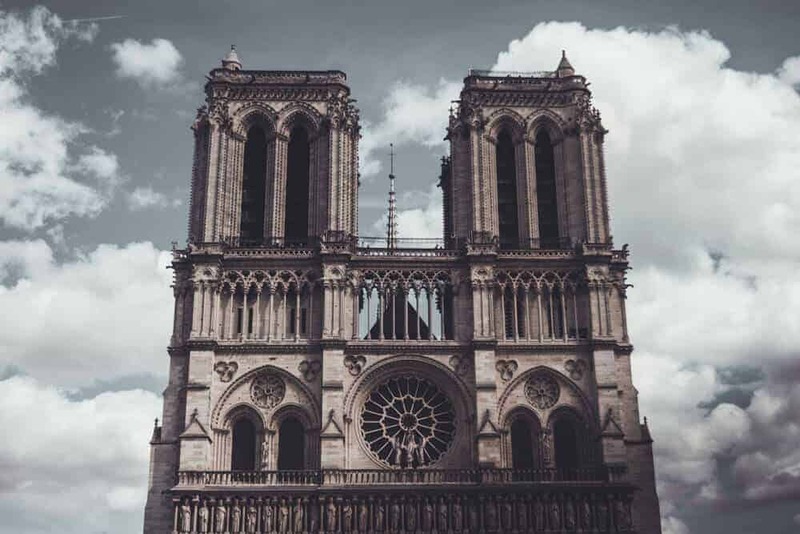 If you’re an architecture enthusiast you’ll enjoy many art styles represented here: Gothic graves, Haussmanian burial chambers and ancient mausoleums. Located in the 20th arrondissement of Paris. The second biggest church in Paris after Notre-Dame (and so underrated!). It’s a magnificent gothic construction combined with some Rennaissance architectural details. It also has amazing stained glass dedicated to charcuterie (!) and regular modern art installations in the chapels. Check all the details to get there here. Located in the Latin Quarter, this former church with Neo-classical architecture, is now the resting place of very well-known French figures such as Victor Hugo, Marie Curie, and Alexandre Dumas. Being buried in the Panthéon is considered as one of the highest honors a French citizen can have. It is free on the first Sunday of the month from November through March. Its steps were famously featured in Woody Allen’s Midnight in Paris. This church is really close to the Panthéon. It dates back to the end of the 15th century but that has a history dating back to the 6th century. Do not miss the rood screen, which is the last existing one in Paris. 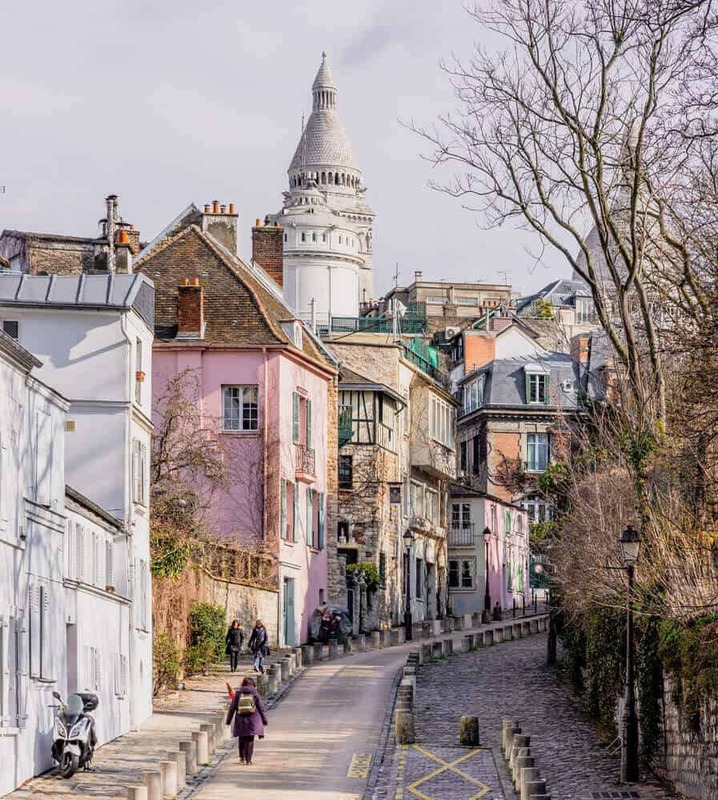 Montmartre is probably one of the most famous neighborhoods in Paris. Don’t miss the chance to walk around it! Famous for being the home of the Moulin Rouge, Montmartre has all the charm you can expect from Paris. Go to the Louise Michel public garden where you can climb its 222 steps to get to the Sacré-Coeur basilica, watch caricaturists in the Place du Tertre, go window shopping around the arty and trendy shops in rue des Abbesses and rue Tardieu and finish the visit in the Montmartre cemetery where you can see the grave of Émile Zola. This is a former railway line that encircled Paris. It hasn’t been used since 1934 and now you can find wildflowers and fauna all around it. There are some sections opened to walkers (in the 12th, 13th, 15th, and 16th arrondissements) that are accessible to everyone, including physically disabled people who can borrow available wheelchairs adapted for the terrain. Also, a great place to enjoy with kids. This is a promenade created along the left bank of the Seine river (it’s between Pont de l’Alma and the Musée d’Orsay). You can find floating gardens, exhibition areas, cafés, sports facilities, and even playgrounds. There are also containers that can be rented for parties or meetings. The first elevated park in the world. It begins at the Bastille and goes on for three miles coming out before the Bois de Vincennes. Walk through this promenade to get a great view of Paris and enjoy a bit of nature in the way. While you are there you can also enjoy Le Viaduc des Arts, in which you can find 45 artisan showrooms. For a great experience in the Champs-Élysées go on the first Sunday of the month when no cars are allowed and this street is reserved for pedestrians and cyclists. It’s said that this is the world’s most beautiful avenue and it consists in a two-kilometer stretch between the Place de la Concorde and the Arc de Triomphe. It is full of restaurants, luxury boutiques, flagship stores, museums, and nightclubs. Even if you don’t want to spend money on all of this it is worth looking (no one will charge you for that!). Located in the 5th arrondissement, Rue Mouffetard is full of restaurants, shops, and cafes. It has an open market that was described in Ernest Hemingway’s novel about Paris “A Moveable Feast”. It’s almost a pedestrian street so you can walk around it to discover all of the interesting things it has to offer. Also called the Latin Quarter, it’s near Notre Dame so you can visit after the Cathedral. It has many things to offer: cafes, restaurants, bars and some of the best eateries in Paris. A classic here are the falafels at L’as du Fallafel. You can identify them because of their distinctive green metal boxes of the riverside. These icons of Paris (they’re even UNESCO protected) have been there since de 19th century. You can read here all about their history and more importantly, about how can you become a bouquiniste yourself. Here you can find rare books, yellow-paged novels, retro magazines and also souvenirs. The light show in the Eiffel Tower is something you’ll remember your whole life! When the night comes, the Eiffel Tower sparkles and provides a light show. A great place to enjoy of this show is the Place du Trocadéro. Read all the details of the show and read all about the history of how the Eiffel Tower has been illuminated over the years to get excited before going. As a part of the training and education of the students, free concerts and shows are offered here. All of them are free but you need to make a reservation. Check the calendar and click on each event to know how to make reservations for each one. This event is held every year on the 21st of June. It’s a date where everyone is encouraged to play music in their neighborhoods and in public spaces. Tons of free concerts are organized and really, it’s just a big musical party. You can check all the details here. During the Summer the banks of the Seine, the La Villette Canal Basin, and the Hôtel de Ville turn into beaches. From July 8th to September 3rd the plages are available for all locals to enjoy. In the banks of the Seine, you can enjoy the sun laying in a sunbed with umbrellas and palm trees all over the bank. Kids can also have fun here with a book lending mobile library. In La Villette, you can also go into pools and get moving with different activities like canoeing. In the beaches of the Hôtel de Ville, you can practice sports like wrestling and athletics. On the first Saturday and Sunday of October, museums, private and public art galleries and other cultural institutions are kept open and free of charge. The city also turns into a big art gallery, providing spaces for art installations, performances, and other activities. Many bars and clubs also stay open so you can have a White Night (or commonly called “all-nighter”). Here you can check details about it (in French). 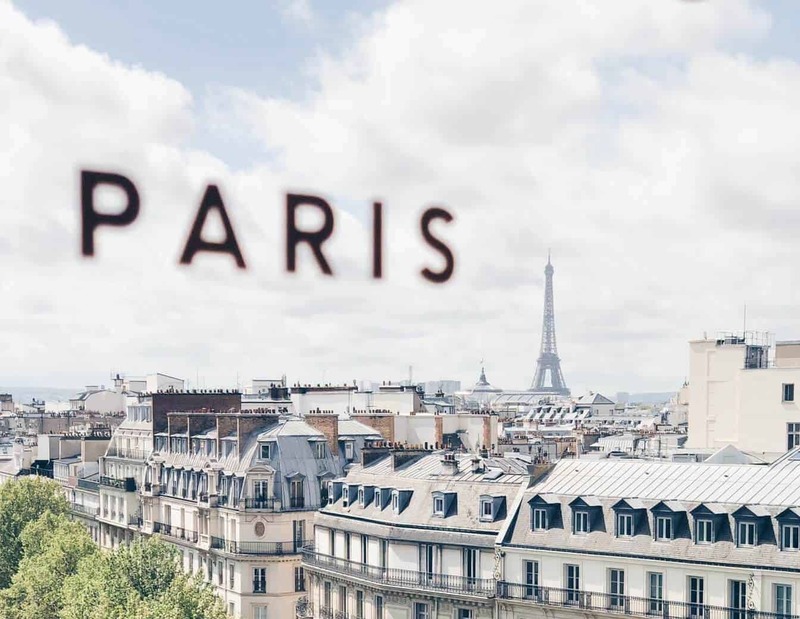 As we have said before, traveling doesn’t have to be that expensive and even in a city like Paris, you can enjoy the life of it without going broke. Check also this guide on how to spend less money in Paris (it’s super useful!). Which of these activities will you be enjoying?